Welcome to SPRING. Well, not really. In Louisiana one day it's 80 degrees and the next day it's freezing rain. What's going on mother nature! 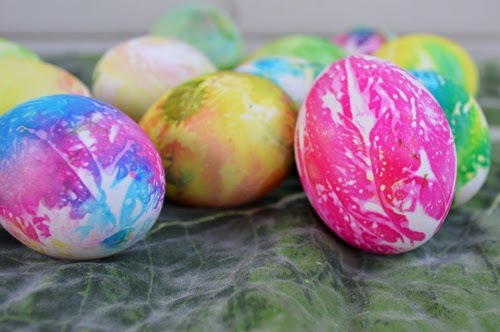 I figured everyone was tired of seeing winter crafts so I am bringing a little bit-o-spring strait to your beautiful eyes! 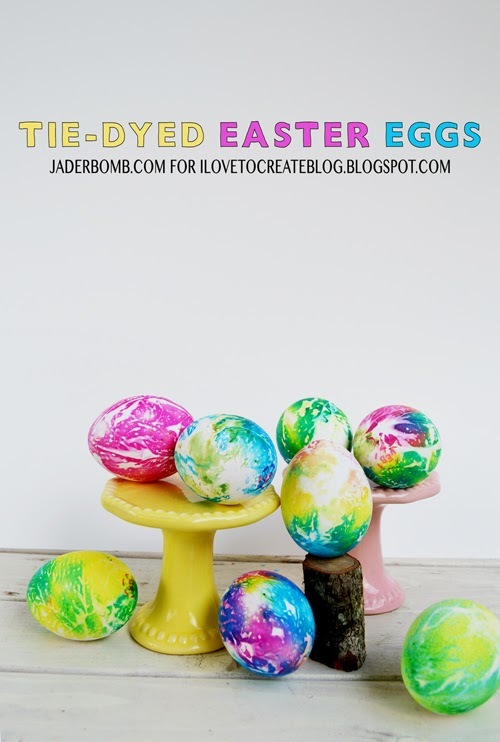 I have been playing around with tie-dye and eggs lately and I wanted to show you this fun tie-dye technique. 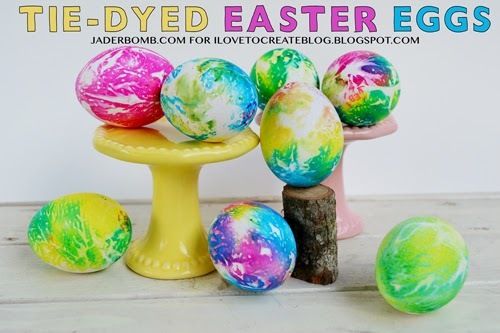 This craft is great for a group of adults to do or for your little kiddos. Let's get started! I simply love these colors. You know if you mix pink and yellow you get orange, blue and yellow make green and red and blue make purple. 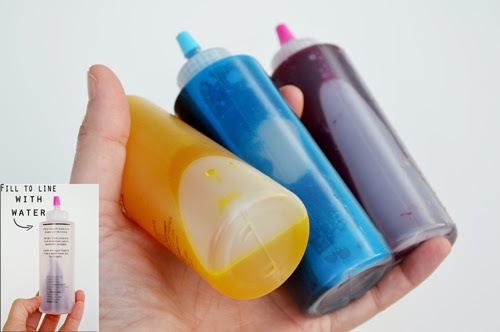 So you can get great colors with JUST these three! Everything needed for this project are likely to already be in your cabinet. 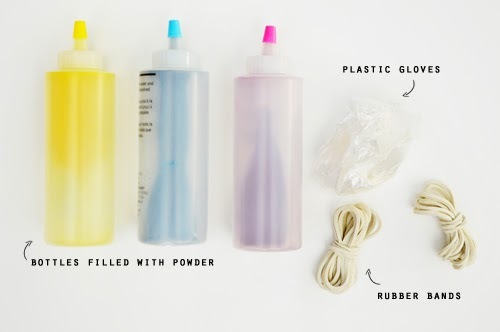 Besides the dye. 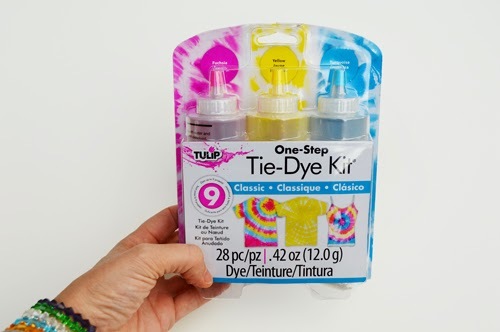 If you are not familiar with the one step tie-dye, this is everything that comes in the packet. Super easy and convenient. When you get your bottles fill them with water to the black line. Shake till everything is dissolved and voila. 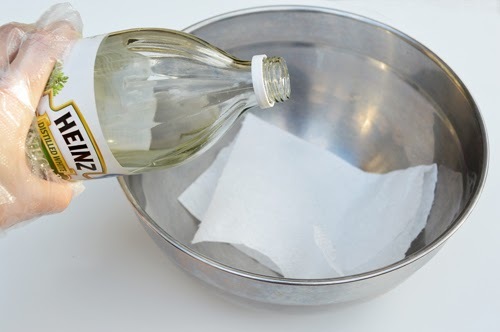 The first step is to add a little vinegar to a paper towel. Just enough to wet the paper towel a little. We don't want it drenched. 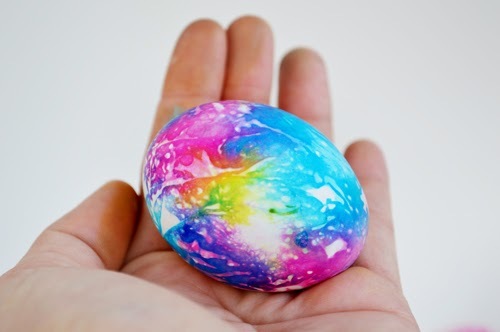 This will allow the color to stick to the egg better. 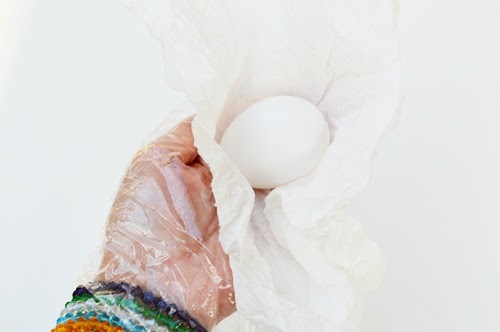 Wrap your egg int he napkin and allow the left overs to hang from egg. There is NO real trick to this. You just want it to be crinkled. The more the paper towel is crinkled the better. 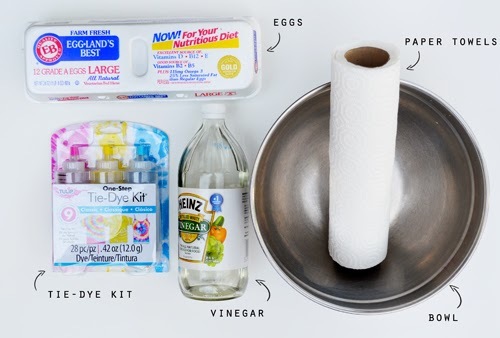 Start applying the color to the paper towel. You don't have to drench it but you want a decent amount on the towel. 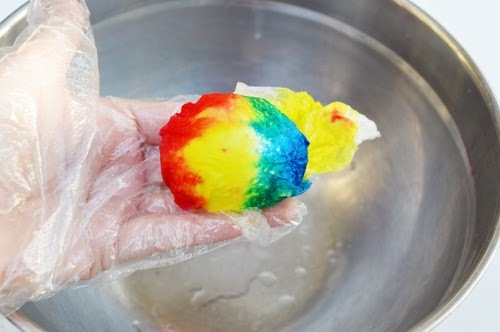 Let the dye sit for about 2 hours then take the paper towel off. Are you flipping out at how pretty they are? 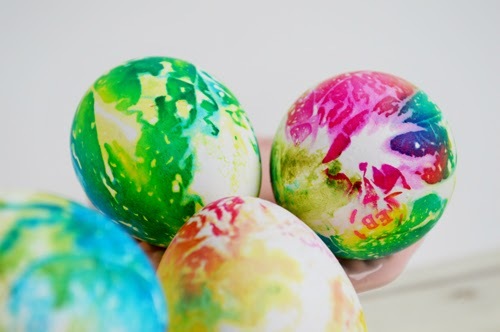 BTW: I boiled my eggs before I did this so we can put them in our BELLYYYYY! Yummy salads! If you are going somewhere for Easter, you can put them back in the box they came in. How fun. Can you imagine opening a box and getting these. I would be so excited. 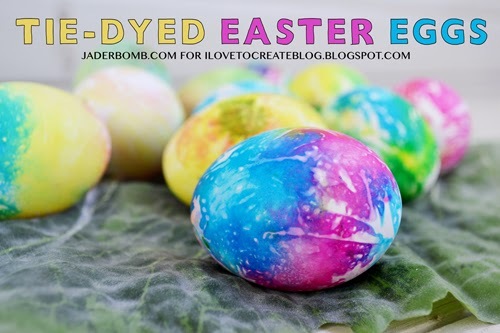 I've noticed that dye often saturates the shell to the egg inside. 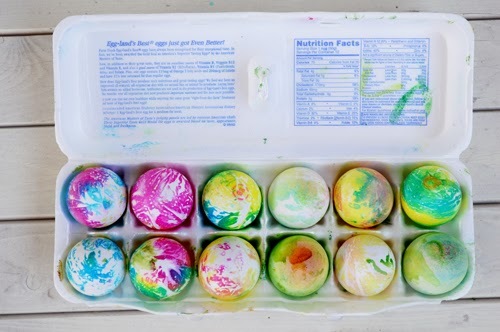 I wonder if these eggs are safe to eat.